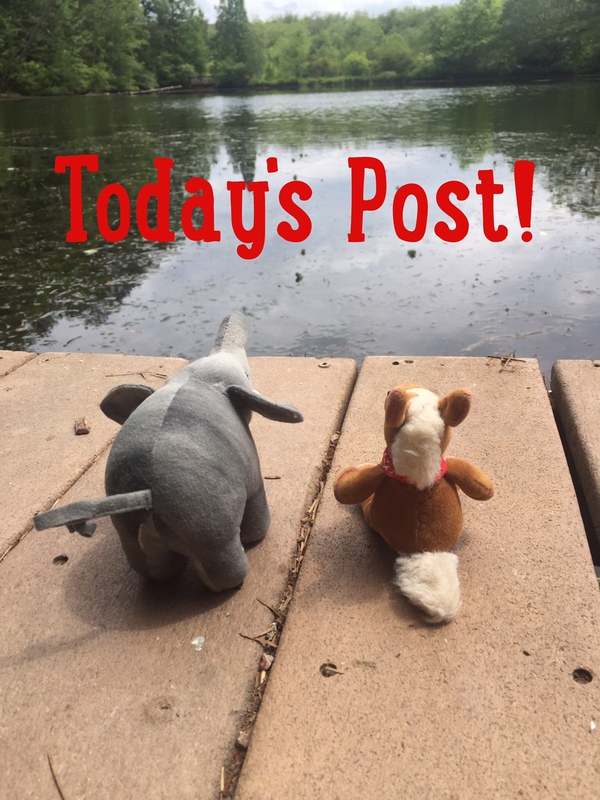 We have a special post today for you! We made a little video about how the moon affects animal behavior in collaboration with our science partner- Science With My Cat! Learn some fun animal facts with us and then head on over to their site to find a fun activity about moon phases! YAY for science! Hello and welcome to Camp E&E this summer! We have a great line-up this year with animals, camp fire stories, interviews, crafts and more! We are spending June here at our home base next to Lake Salamander! There are so many animals to meet that call these woods home all year round . Some are small but mighty and some are scary to most people, but they all are special and they are ready to welcome us all to camp. In July, we’ll be heading to beach camp to meet sea creatures and shore birds. By August you’ll not want to leave! So campers- it’s time to pack your bags and get your cabin assignment. Camp E&E is kicking off summer of 2018. We’ll meet our first animal tomorrow! We are meeting one last animal at Camp E&E! The summer has flown by hasn’t it? We can hardly believe it! We could spend hours and hours watching the brown pelican take diving in the ocean scooping up eats! Let’s mee them today! The Brown Pelican is the smallest of all pelican species. They are plunge divers. They fly above the surface of the water and then drop or plunge into the sea to catch their prey. Brown pelicans have a greenish skin on their face that is brighter during mating season. Brown pelicans like to nest in trees, shrubs and mangroves. Their pouch can hold up to 3 gallons and the stomach can hold around 1 gallon. Brown pelicans are the state bird of Louisiana. We love pelicans! Love them! They are one of the coolest birds around! Do you love them as much as us? Stick around for the last craft day of camp tomorrow! A Trip to “SPACE” at the Center for Puppetry Arts! This past Saturday we went to see “SPACE” an original show by Jon Ludwig at the Center for Puppetry Arts! It was an amazing ride and great fun! The premise: Rockin’ aliens come to earth and whisk the audience away in their spaceship to teach us all about outer space! And let us tell you these aliens can rock! You meet the three rocking aliens and their pilot and mechanic of the spaceship; Eema and Ot! They are fun pair! The aliens and Eema and Ot take you on an adventure through our solar system with some great songs that help you learn! Sir Issac Newton, the scientist who discovered gravity makes an appearance in the show! He even uses an elephant as an example to explain gravity! See we elephants are everywhere! We loved the man in the moon number that explained the phases of the moon! 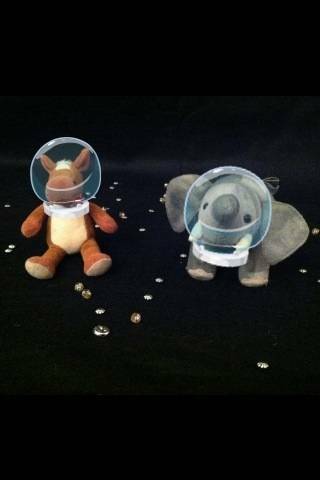 An Ellie and Edmond moon tidbit: Did you know that many animals rely on the phases of the moon? Horseshoe crabs come ashore to mate during the new and full moon in spring. Baby sea turtles use the moon to guide them to the ocean after they hatch on land! We learned all about the sun, Mercury, Venus and then headed through the asteroid belt! That’s right folks; we went through an asteroid belt, where we saw some amazing singing asteroids! After that, the aliens stopped at Jupiter and Saturn! Keep an eye out for a special number from Saturn! The aliens then head out in to our galaxy, the Milky Way (yum)! Then after learning all about galaxies and stars, the aliens took us back to earth, where they sang a song about how awesome our planet is and how we need to take care of it! We loved this song the best and Edmond was dancing the whole time! We definitely agreed that we need to take care of our planet! We thoroughly enjoyed ourselves at “SPACE” and we can guarantee that you will too! Ellie gives it 4 out 4 trunks for the great science. 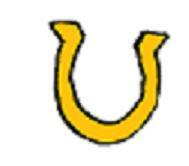 Edmond gives it 4 out of 4 horseshoes for the great music! We recommend that your gallop and don’t walk to The Center for Puppetry Arts to catch all the outer space fun! We have our own space helmets and we're ready! 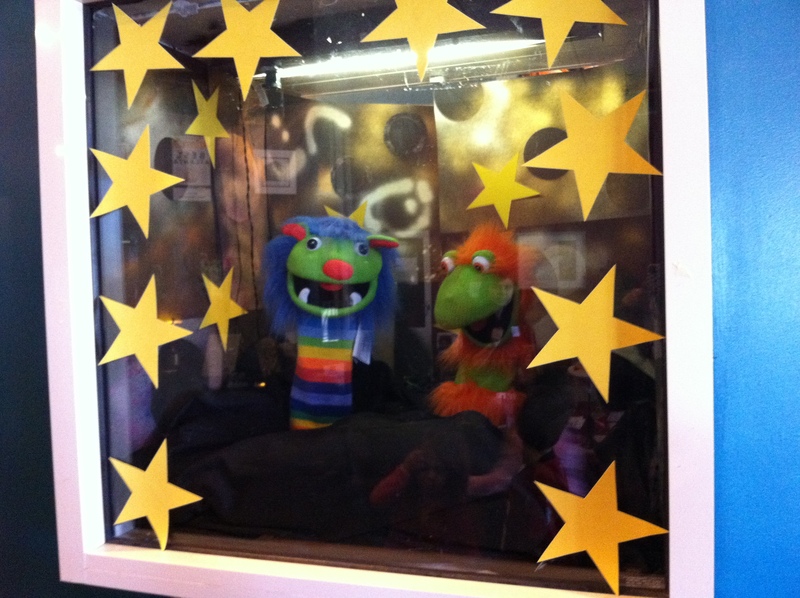 Aliens lurk in the lobby of The Center for Puppetry Arts!Opening weekend!You can make your own alien puppet! FUN!Here we are with an alien!Here we are with the program!